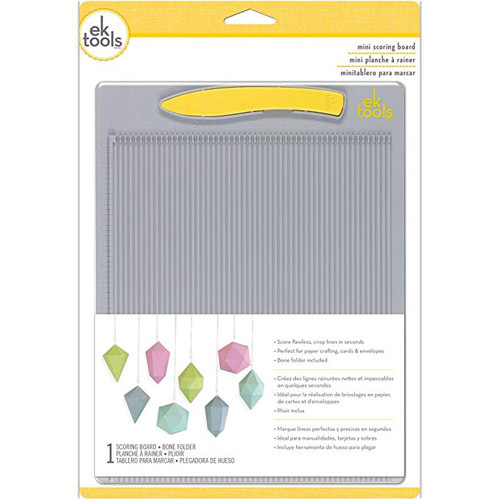 The Mini Scoring Board by EK Tools is perfect for paper crafts, cards, invitations and envelopes. You can score flawless, crisp lines in seconds. Bone folder included. Durable plastic The outside of the product measures about 9 1/2 x7 1/2 inches. The actual scoring surface is 6 5/8 wide x 8 inches long.